Friends, I hear you and I want to help. You’re yearning for…desperate for…dying for…crock-pot recipes that are easy and (mostly) healthy. Well, yearn no more. I am here to help! 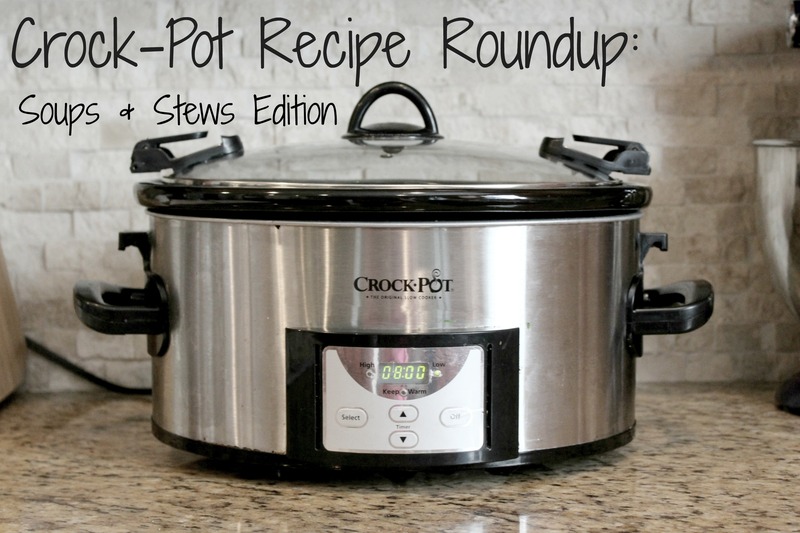 With four busy kids and a husband who works crazy hours, I depend a lot on my two (yes, I said 2) crock-pots. As much as I wish it were different, the reality is that we are rarely able to sit down to dinner together as a whole family on weeknights. And even when we can, the afternoon has usually involved quite a bit of chauffeuring children and not a lot of time for cooking. Some people dream of having a live-in chef to provide them with healthy meals in a timely manner. Well, short of becoming Oprah when I grow up, that ain’t gonna happen. What’s the next best thing, then? Good resources, that’s what. So, without further ado, let’s link up to some yumminess, shall we? Creamy Chicken While Rice Soup — This is a delicious soup that takes about 8 hours on low. It’s loaded with veggies and chicken, made with milk instead of cream, and tastes great with some warm bread. You will need about 40 minutes of prep time right before you eat to make the rice and shred the chicken. Crock-pot Turkey White Bean and Kale Soup — This is one of Greg’s favorites and even the kids eat it up! What I love about this is that you don’t need to spend time browning the turkey before you put it in the crock. Dump everything in and then break up the meat with a wooden spoon when the cook time is complete. Slow-Cooker White Chicken Chili — OK, so we know that if it’s Pioneer Woman, it must be good. Right? Full disclosure, there are a couple of drawbacks to this one. 1) There are a lot of ingredients. 2) You have to buy masa, which isn’t something I usually have on hand. 3) You have to soak beans overnight, so there is some prep involved. The super mega bonus, though, is that it is absolutely delicious. Slow Cooker Beef and Barley Soup — Mel’s Kitchen Cafe is one of my hands-down favorite places to look for new recipes and this soup was truly a hit. It takes about 20 minutes of prep before it slow cooks, but then can be in the crock on low for 9-10 hours. This makes it a great option for those days when you have to be gone from sunup to sundown! Crock Pot Minestrone Soup — Talk about health-friendly!! This vegetarian soup is so chock full of goodness, you won’t even miss the meat. Skinnytaste is another favorite website for recipes in general. Slow-Cooker Chicken Noodle Soup — This. Is. Amazing. I promise that if you make it, you’ll love it. Don’t use chicken breasts instead of the thighs and do use the wine. Skinny Slow Cooker White Bean Chicken Chili — This gem has been a quick and easy favorite in our family for probably 5 years. Here’s a couple hints I’ve learned over the years. 1) Go with the shortest cooking time possible. Three to four hours on high is just right so that the chicken doesn’t dry out. 2) If you have a stand mixer, take the chicken straight from the crock to the bowl of your mixer and give it a spin or two while it’s still hot. Instant shredded chicken! 3) Don’t skip the jalapeno. It doesn’t make it too spicy, but gives it a great flavor. Any other suggestions? Have any favorite recipe links you’d like to share? Leave them in the comments! Help a mama out, will you?! I made your beef and barley soup last weekend. Because I’m less energetic than the recipe calls for, I just dumped everything in the crockpot without the searing and sautéing. Worked great. Tasted great. It may have been better with the entire prep work, but worked just fine for us. Keep sharing those recipes! You are a superstar! I made a Brunswick Stew from a recipe in a Crockpot magazine this past weekend, it was pretty good. We managed to finish the six quarts as lunches and easy late dinners over the week. I’m going to try this version next.